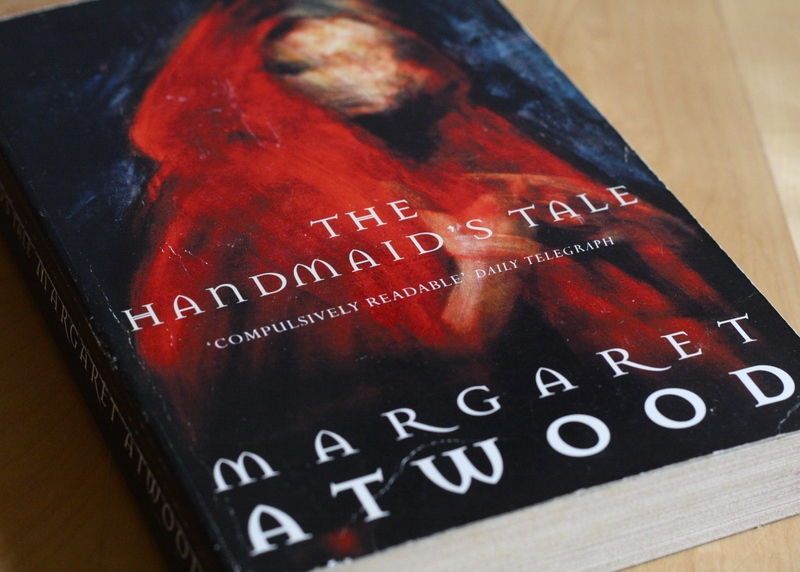 I bloody love a good dystopia, and there are plenty to choose from – but The Handmaid’s Tale is probably my favourite – and may actually have started the whole thing, now I think about it. I first read it as a teenager and it just tapped into something in my brain, or ‘spoke to me’ if you prefer. It felt frighteningly plausible, which a lot of these books do – a good dystopia essentially speculates on possible fallout from the introduction of new technology, so is generally grounded in recognisable science and social situations. The Handmaid’s Tale may have the edge for me because it was my first dystopia, or because of Margaret Atwood‘s prose, or perhaps because of being from the perspective of a female protagonist; comparatively rare given the others I considered photographing were Oryx and Crake (also by Atwood, also awesome, but with a male narrator), Brave New World by Aldous Huxley, and 1984 by George Orwell. I strongly suggest you read them all, and an honourable mention must also go to The Passage by Justin Cronin, which I read in February this year. It was never really in the running for this photo because I read it on kindle, which is not as aesthetically interesting as a paper book – but if you like dystopia it’s a damn good read. Remember being so unsettled – Atwood is so good! Great isn’t she… I think it’s that sense of it all being so plausible that makes it stick! That’s a beautiful edition of The Handmaid’s Tale. Mine is distinctively unattractive. It is pretty… rather battered though, I deliberately didn’t photograph the spine or the innards, there are a lot of pencil marks and the spine is very broken! B4 Retouch / Weekly Photo Challenge: Masterpiece (Musée d’Orsay) | What's (in) the picture?